Hide deals from seller "Brolin's Scoops & Maddie's Sips"
Hide deals from category "Ice Cream & Frozen Yogurt"
Limit 1 per person and 2 per transaction. Valid toward ice cream products only. Promotional value expires 60 days after purchase. 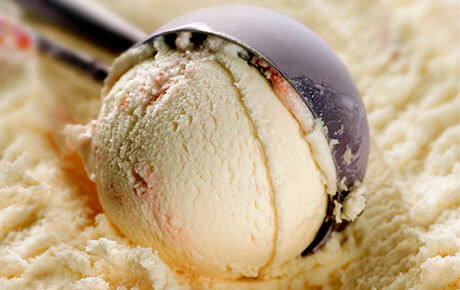 Indulge in a sweet treat with 10% off ice cream from Brolin's Scoops & Maddie's Sips in Bartlett ($10 value). This new ice cream parlor offers more than 60 fabulous flavors of ice cream made in Holland, Mich.
Brolin's Scoops & Maddie's Sips is a new addition to Boutique Necessities by Dej, a gift shop that sells purses, jewelry, scarves and gift items. The ice cream shop offers classic flavors like mint chocolate chip and butter pecan as well as flavors that pay tribute to Michigan. Sample flavors like Sleeping Bear Dunes bear hug, Mackinac Island fudge and Michigan cherry for a little taste of the Great Lakes State. Brolin's Scoops & Maddie's Sips offers cones, sundaes, milkshakes, malts and floats for a variety of tasty options. Scoop up a refreshing treat with this deal. An ice cream parlor in Bartlett offering sundaes, cones, coffee and more.